Home > stephanie kuehn > STONE IN THE SKY Blog Tour: Interview with Author Cecil Castellucci! 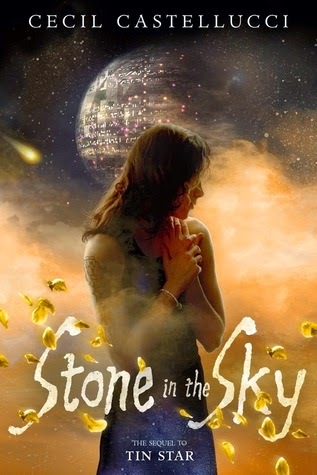 STONE IN THE SKY Blog Tour: Interview with Author Cecil Castellucci! Today we are so honored to be a part of the Stone in the Sky blog tour, and we hope you enjoy this interview with the amazingly talented Cecil Castellucci! Be sure to also check out Tin Star, as well as 'The Sound of Useless Wings,' a prequel short story featured over at Tor.com. Hi Cecil! 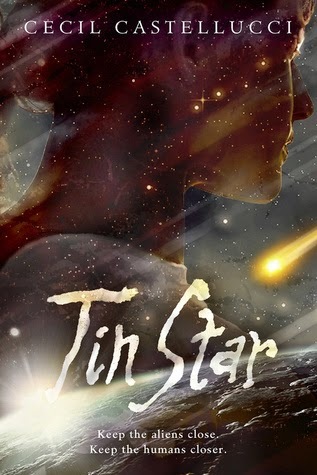 Congratulations on the upcoming release of your latest book, Stone in the Sky, the sequel to your sci-fi novel, Tin Star. What can you tell us about Stone in the Sky? What was it like to complete Tula’s story? Stone in the Sky takes place a year after Tin Star. Things have not gone quite right in Tula’s plan. Reza and Caleb were both sent to the outer rim and Trevor was left behind. This causes her a lot of guilt, especially as her relationship with Tournour becomes more confusing. Then of course, everything changes when a rare plant is discovered to be blooming on Quint. Where Tin Star was very internal and claustrophobic, seeing Tula hemmed in and cold, Stone in the Sky opens up to exploring the whole galaxy, as she becomes who she really is. You’ve published books across numerous age groups and genres, and even across formats. 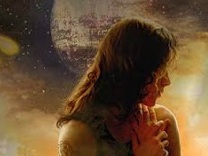 How did you know this duology was going to be YA, and what does that designation mean to you? I always feel that a story tells you how it wants to be written and then I write it. Honestly, I never think in terms of designations. That’s the publishers domain. My job is to write the book and follow the character and see where they go and then to try to tell their story as true to the bone as possible. For now, it seems as though my voice naturally lends itself to young adult fiction. I think it is a moment where a person is really throwing down for what kind of a person they want to be and that’s pretty compelling. As for Tula Bane and her story, I always knew that it was going to be a duet. Book one was loosely inspired by Casablanca and book two I wanted to be a gold rush western. It had to be two books because Tula survives in book one by shedding her humanness and mimicking aliens in order to survive. In book two, she must reclaim her humanness. So I always knew that it was going to be divided. Two books felt natural to me. I just want to get to the good parts! I know that you have a musical background, which I find interesting. Writing and music are obviously both creative processes, but one is collaborative while the other is less so. How do you adjust to the solitary aspect of writing and is that something you enjoy? It’s funny, because I don’t do music much anymore. Wait, that’s not really true. I’m writing the libretto to an opera right now. But I mean, I don’t jam with a band anymore. And I do miss it a lot. But honestly, I think what makes me able to hang with the solitary aspect of writing is that I not only write novels, but I write comic books, too. To me, writing comic books (and my opera) are collaborative processes and it’s kind of like being in a band. I actually think that doing both allows me to be more generous when I’m working with someone, because I have this whole domain, novel writing, where I get to have my way 100%. It frees me up for real, deep collaboration. Which is the best part of being an artist I think. Doing cool stuff with other cool creative people. Are there themes or ideas that you find yourself coming back to in your writing, whether conscious- or unconsciously? This is something I’ve been thinking about lately. Yes. I think I am always writing about the exiled and outsiders, about finding your true tribe and following your heart and about how art can save you. And about real true long lasting life long love, in other words, not necessarily romantic, but the people that you keep forever as you travel along. I think I am constantly trying to find out how to keep your independence. I am allergic to group think, and I think that I keep writing about how to survive leaving that mainstream behind and be ok with it, because it’s scary to not follow the herd and strike off on your own. It’s not popular, but it’s very rewarding. I know that you’re active in the Los Angeles kidlit community, which is very cool. What makes that community unique, and what do you enjoy most about being able to with connect local writers and readers? What are some books that you’ve enjoyed recently? I just caught up reading Aquaman (New 52) and it reminded me how much I would like to write Mera again. I actually just read your book Charm & Strange! It was great! (steph: thank you!) 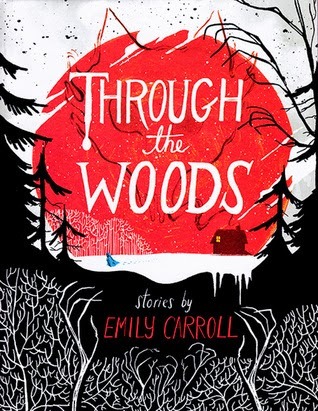 I read Through the Woods by Emily Carrol. A wonderful comics story collection. I also read a time travel book called The Impossible Lives of Greta Wells by Andrew Sean Greer. I’m not quite sure what I thought of it, which I think is a good sign. When you are still mulling a book months later. Currently I’m reading 2312 by Kim Stanley Robinson which is really good but really dense. Upcoming in 2016 I have a graphic novel with Joe Infurnari called Pearl in the Rough about a girl who rides the rails with an old hobo in 1932. And I’m tinkering away at a first draft of a new book which I hope will become my first middle grade novel. 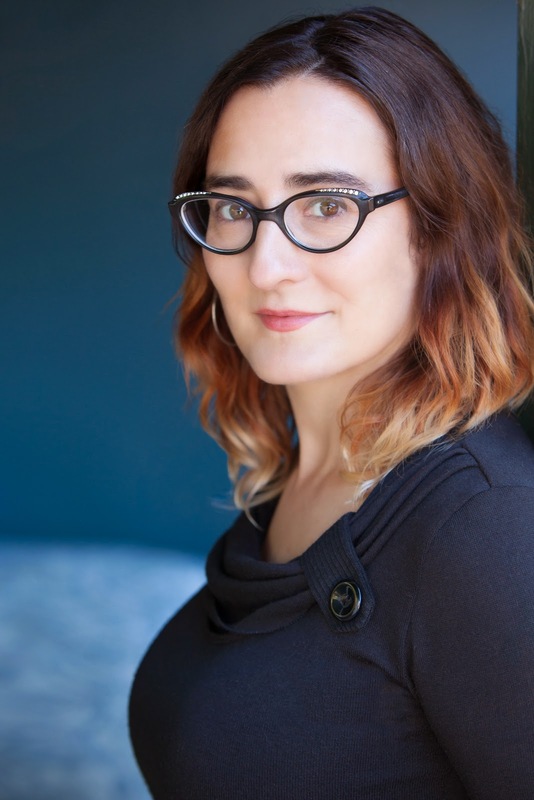 Cecil Castellucci is the author of books and graphic novels for young adults including Boy Proof, The Plain Janes, First Day on Earth, The Year of the Beasts, Tin Star and Odd Duck. Her picture book, Grandma’s Gloves, won the California Book Award Gold Medal. Her short stories have been published in Strange Horizons, YARN, Tor.com, and various anthologies including, Teeth, After and Interfictions 2. She is the YA editor of the Los Angeles Review of Books, Children’s Correspondence Coordinator for The Rumpus and a two time Macdowell Fellow. She lives in Los Angeles.